Another day another fabulous delivery, and this time it is from The Cruelty Free Beauty Box. 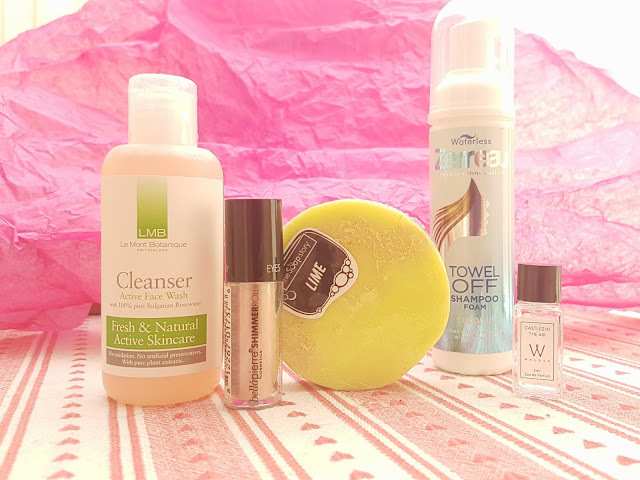 I have been looking forward to this month's edition, as I was so happy with the February collection, and I have to say there are quite a few things I am excited about in this March box! "So, as you probably know we're on a mission to help you find Cruelty Free & Vegan discoveries as we all know it's not so easy sometimes! So now we're making it super easy for you by letting you discover exactly what you want, when you want-We wanted to make what we do accessible to you all as we all like different things, done different ways! So, if you're not a fan of surprises or you just want to discover more Cruelty Free & Vegan goodies each month then we think you're going to like us for this one..."
Without spoiling anything, I think this could be a really unique and inclusive path for the subscription, and if I am right with my guess then I seriously cannot wait for the reveal! While I wait, I will be playing around with some of the fabulous goodies included in this month's box. There are a few new names this time around, and some old favourites as well, which I think makes for a really well-rounded collection. With three full sized products and two decent size samples, I appreciate the selections overall. While there are three items I won't be using due to my preferences of ingredients, the other two items I am very happy about and think are actually perfect for the changing weather. So let's dig into it! First up on the list is a 2-in-1 Soap Loofah from The Soap Story. While I have chosen not to use this due to the ingredients (mainly the SLS), it smells so good I wish I could. I got the soap in Lime, and it made my mouth water before I even opened the box all the way - it is so fresh and tart, and I think it would fill the whole bathroom with its tangy fragrance. The soap bar is meant to clean and exfoliate at the same time due to the loofah within the soap, and I would be really curious to see how the experience changes as you use more and more of the product. The next item in the box was from a brand that I was introduced to us in one of last year's boxes: Le Mont Botanique. This time, rather than a face oil (which I loved! ), we get a full size of their cleanser. I absolutely love rosewater, and this product says it is formulated with pure Bulgarian rosewater and rose oil, making it what should be the perfect concoction to help effectively clean, protect, and balance your skin. At first glance I truly thought I would love this cleanser, as it claims to have no artificial colourings, no synthetic fragrances, and no preservatives (which to be fair is not always the best thing -- but more on that another time). When it comes to skincare, I like to keep things simple and use the power of plants to naturally boost the health of my cells, so I always double check ingredient lists. Now that I have been investigating some the ingredients from this cleanser via EWG Skin Deep, I am thinking this is another product that unfortunately is guilty of greenwashing and does not meet my natural skincare requirements. The cleanser boasts several positive qualities, including moisturizing, refining texture, restoring elasticity, smoothing, energizing, and promoting a natural glow, so this could be a great product for those looking to restore their skin after the long winter. The product says it is suitable for all skin types, including those who are sensitive to products, and the label states the cleanser works as an anti-inflammatory, antiseptic, and has soothing properties that cool irritated skin. However, if you have ezcema or a similar skin condition consider doing a patch test first, as both PEGs and cocomidopropyl betaine are a common trigger for contact dermatitis. Next up is a product I already know and love, and I will definitely be using this one! Walden is a natural perfume brand created by Amarya that was launched last year, and I have already gone through two of their "try me" kits. The sample I got is "Castles in the Air" which is actually one of my favourites. The description says "intoxicating blend of Citrus with a hint of tropical flowers and lavender," yet to me the perfume has strong notes of vanilla along with the more floral tones. I love how delicate it smells, and it lasts longer than most of the other natural perfumes I have tested. Plus, at £40 for a 50ml bottle, the product is very competitively priced with both the high street and high end brands. I might just have to finally buy that full size! The trusty Bellapierre is up next on the list, a brand we have seen several times in the boxes, but one that I honestly love. I find that while the items are not always 100% natural, they are non-toxic and genuinely have some of the best pigment I have ever seen (especially in their loose eye shadows!). This "Shimmer Roll" is described as a three in one product that can work as a highlighter, eye shadow, or body glow, and it could not have come at a better time for me. I have recently been hunting for a replacement for the Nuxe Huile Prodigieuse OR as the brand is not truly cruelty free (despite their attempts to claim so) and I refuse to support China's animal testing laws in any capacity. 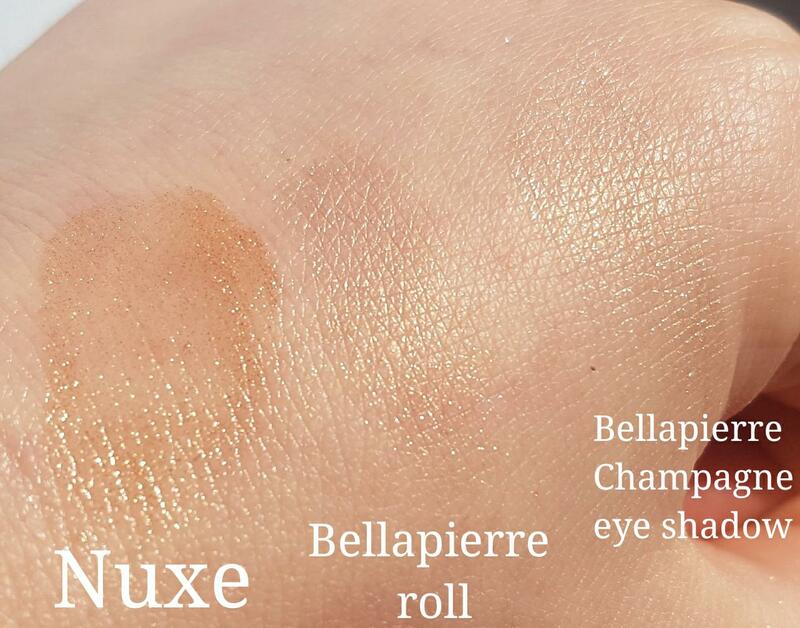 While the Bellapierre roll is not oil based, it does contain the same light reflecting base as the Nuxe shimmer oil, and doesn't have the same overpowering fragrance associated with the Huile Prodigieuse line. You could even add a drop of oil to achieve the same added glow as the Nuxe. One thing I did question was if this roll on shimmer was any different from the Bellapierre eye shadow formulations, as it reminded me a LOT of "Champagne." After some comparisons I could honestly not find much a difference, so you may be just as well off buying a pot of their loose pigments and sweeping on with a brush. Ingredients: Mica (CI77019), Titanium Dioxide (CI77891), Iron Oxides (CI77492, CI77491, CI77499). Last comes a brand I have never heard of, Zerreau, with a type of item we have not yet seen in The Cruelty Free Beauty Box - a towel off shampoo. This does seem slightly different from a dry shampoo, as instead of spraying something into your hair and leaving it to sit, you apply a foam directly to your roots, massage out the grease and dirt, then remove by towel drying. I would have guessed the 'like dissolves like' logic is how this 'shampoo' works, but there are no oils contained in the coconut scented formula. Rather, I think the sulfates and alcohol work to "towel away oil and grease" as the label describes. While I prefer my twice-weekly wash, this shampoo foam could be great for those short on time and energy. I do like the aspect that no water is required, meaning you are saving resources as long as you opt out of bathing entirely that day. Also, the label states it removes product build up, meaning this could be a potential substitute for clarifying products. Another plus for this "Towel Off" is that it is widely accessible, as it is stocked in both Boots and Superdrug - a big bonus for those looking for high street options! So while I will be opting out of using several of the products in the March box, I am sure the majority of subscribers who are focused on the cruelty free or vegan aspect of beauty will be very happy with both the variety, quality, and value of everything this month. You can't please everybody (at least not yet?! ), but I think this edition offers a little something for every consumer. I for one like that there are so many different kinds of items, and the value is definitely there: £37.62 this month. Plus, everything works well for the changing seasons with the focus on floral, fruity fragrance and buffing away/moisturizing dry skin - I am very much looking forward to getting my glow on with the increased spring sunshine, but while I wait for the English weather to cooperate I can at least use the Bellapierre to trick myself into thinking I am on my way to summer! What did you think of the March collection from The Cruelty Free Beauty Box? Is there an item you are most looking forward to using? I would love to hear all your thoughts down below! And remember to be on the lookout for my sneaky giveaways over on Twitter, Instagram, and Bloglovin over the next several weeks! I will be drawing winners all through the Easter holidays! I've never heard of this box! I only use cruelty free products myself so can't believe this has escaped me until now. The Bellapierre roll looks just stunning. I really liked the Nuxe product too until I went cruelty free and have been looking for an alternative. This one sounds really nice. I like the finish of it. The shampoo foam is an interesting concept. I love my Batiste dry shampoo but have never tried a foam before. Thanks for introducing me to this subscription box! I've never heard of this box. I have lots of friends who stick to CF and this would make an amazing present! 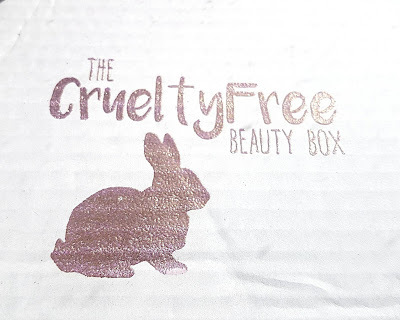 It sounds like a really great cruelty freebox. Shame that they include products with SLS, but maybe soon they'll stop. Oh how amazing that it’s cruekty free, it makes it so much more interesting. Especially knowing that your skin will not only look good but also be ethically good. I haven't heard of this box before but I love the concept, definitely one to look out for! I love the idea behind this and I like that there are people sensitive to others preferences. I also think this is a wonderful gift idea!